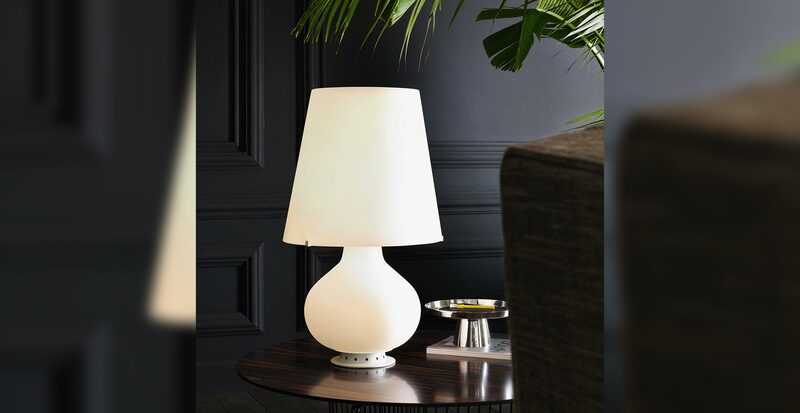 A very precious body, almost completely in white blown glass: a roundish element that extends slightly upwards surmounted by a truncated cone: it is the shape of the classic abat-jour that marked an era in lighting. 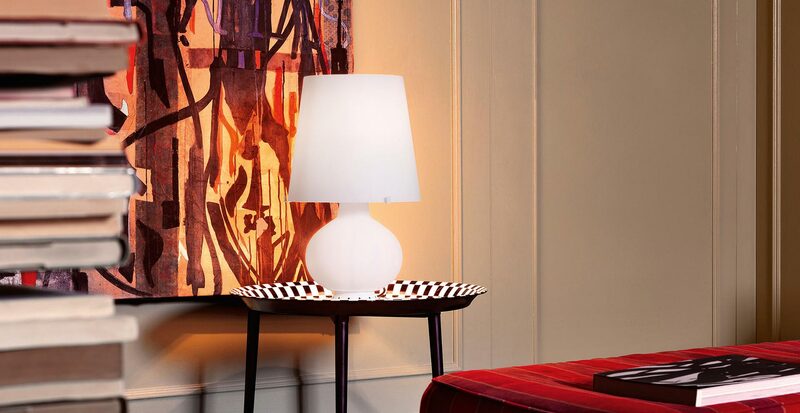 The peculiarity of Fontana is the multiple ignition: both the base and the lampshade contain one or more light sources. The largest version is also indirect lighting: an additional light source projects an indirect beam of light upwards. 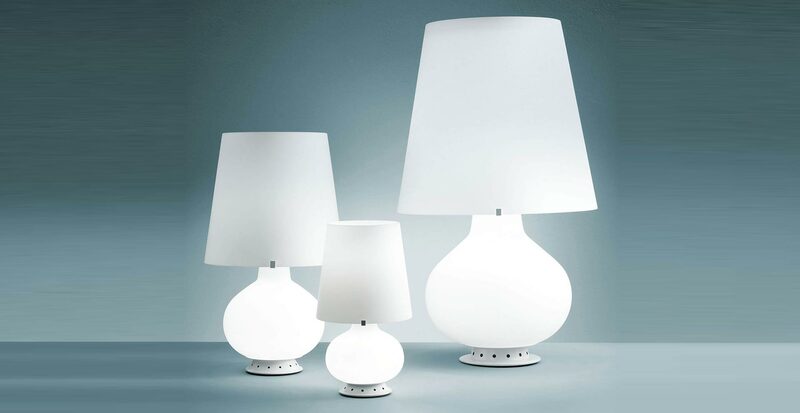 The differentiated lighting makes it possible to face more the lighting needs: from the standpoint of the resting light, to the intense light from reading to a light. 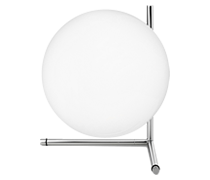 The soft and perfectly proportioned shapes, the purity of the design, the milky-opalescent finish make it a timeless piece of furniture, perfect in every context, both when it is on and off. Now available with LED light sources.